So here it is, my first ever harvest, I’m so happy. Two things though. One, the B and the T were shop brought, no room for a pig and the Tomatoes are months away from harvesting, and two, I didn’t even get to eat it (I’m a fussy eater). 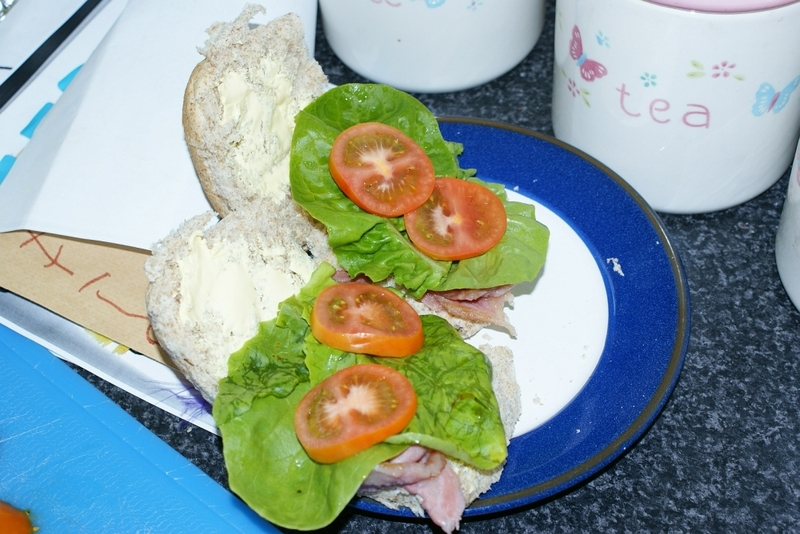 Fortunately, I can still report, the L from the BLT sandwich went down a treat so all is well. Last week’s heat wave is now sadly a distant memory. 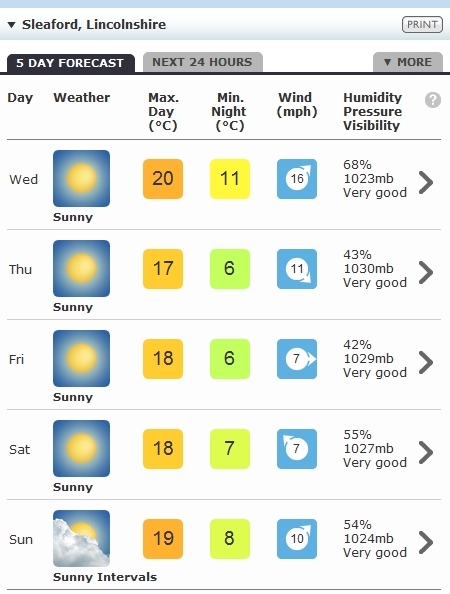 I wouldn’t be surprised if that was as hot as it will get this year for the UK. The cooler climate though has brought some relief to the greenhouse plants as I haven’t got any shading to block out some of the sun. Even though it was only 13c today, the greenhouse was sitting at 30c but as soon as I open the vent window and door, it drops to a more suitable 21c. I can see I will need some form of shading though as the daylight hours grow longer and longer. 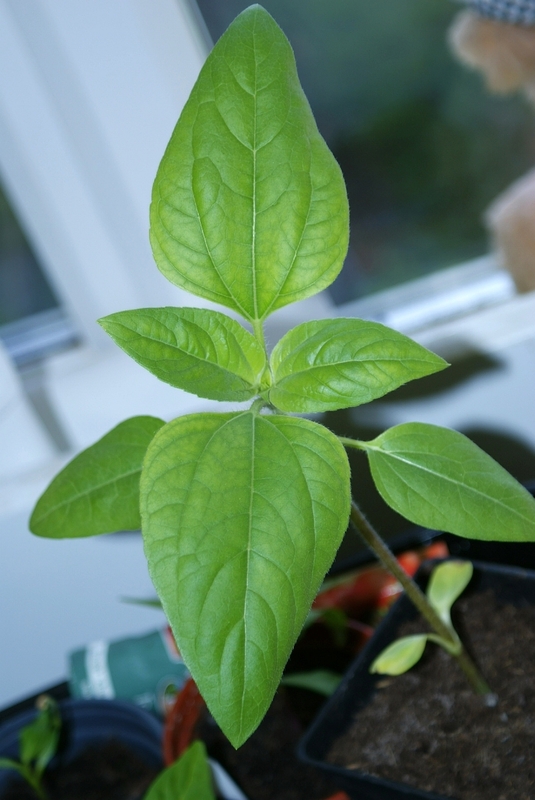 So far in my growing from seed, I have pretty much had a pleasing success across the board. My Pepper plants though are causing me concern. They didn’t like the high temp of the greenhouse and they don’t like the cooler temp outside so I have had to bring them back in to the house. Whilst they like to ambient temperature, they lean furiously towards the sun, so much that I have to move them around twice a day so to straighten them up. Hotter than Spain. I could get used to this. Another week, another 7 days of summer. What is going on with our weather? I’m not complaining mind. If the UK had this every year, holidays abroad would dive sharply. It’s been a glorious month with 0mm of rain for my veg patch and that is a fact as I have a bone dry waterbutt since installing it weeks ago. With temperatures above 20c for the last 9 days my veg has gone at full speed and keeping up with it all is proving a challenge but thankfully I’m in the middle of 11 days off work. Watering is such a vital task for veg to thrive yet it’s the number one problem new growers (and some seasoned pro’s) get wrong. Over watering can be more harmful than not watering at all and after two nights of watering last week I had to force myself to stop on the third night and a good job too. Tonight thinking I may need to water after 4 nights of not doing so, I tested the soil with a £3 tester I brought from Wilkinsons a while back and low and behold, 7cm below the surface the indicator moved to moist. Deeper still and it was bordering on wet. 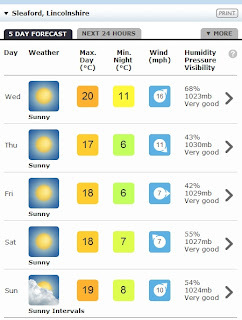 So with that info I shall refrain from watering this week especially as showers are predicted on a couple of days. 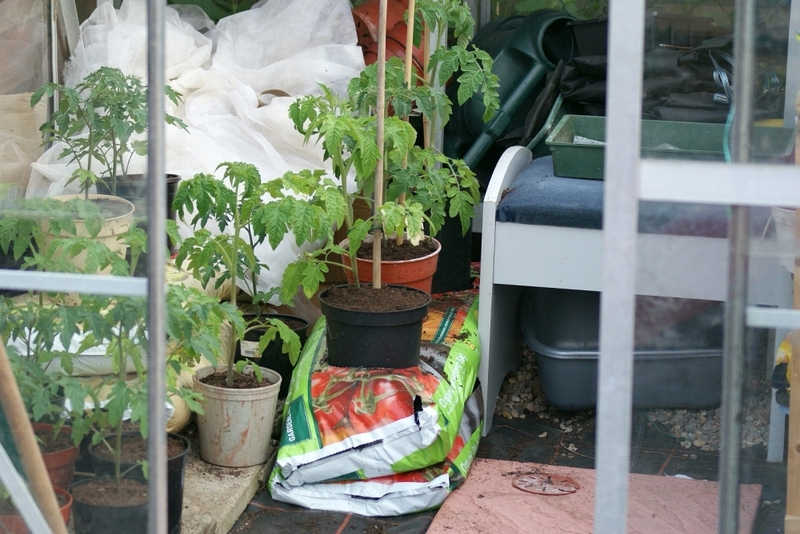 I have two other growbags to duplicate the same method as the tomatoes but this time for the Peppers but they are still small and haven’t even been potted on yet so for now they wait patiently at the back of the greenhouse. My Runner Beans have fully germinated and gaining growth quite rapidly. 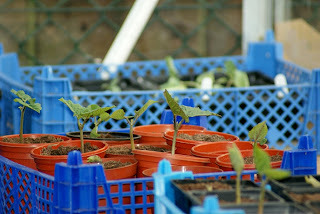 With May only 7 days away they will be going in to the ground at their perfect planting time. I may have to pot them on first if they get too big as I don’t want their roots to get pot bound. 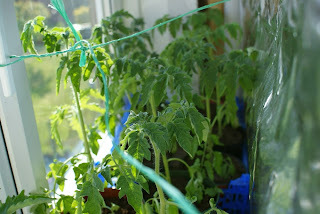 Rather than disturb them twice, I might just plant them in the ground next weekend after hardening them off in the week. Will see how they go in the cooler climate of the following days. This morning saw me planting out my Parsnips as one module saw its first sign of Germination with a tiny leaf breaking the compost surface. I was keen to get them in as I didn’t want their tap roots to hit the bottom on the rolls as this would deform their growth so with 14 days in the greenhouse, they have now gone in the ground still in their toilet roll modules. I was unsure if they needed hardening off or not but thought not as there wouldn’t be time to do so with the risk to the tap roots. I’ll be keeping my eye on them though just in case. 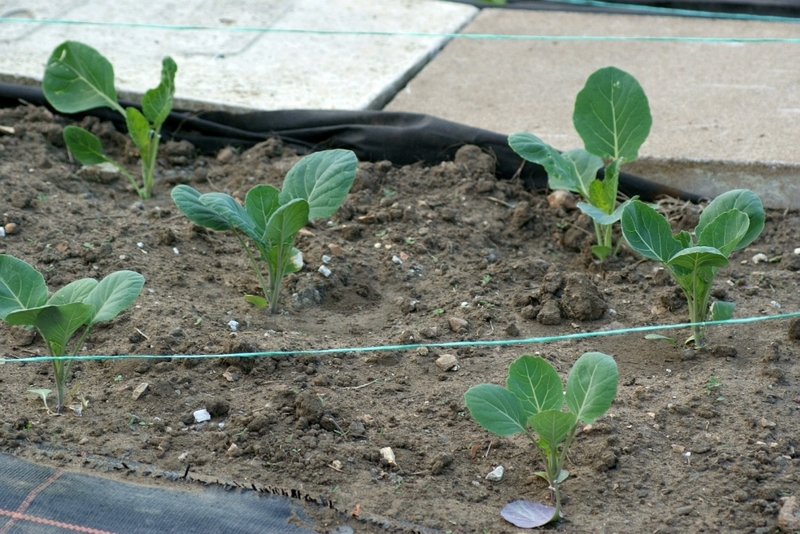 Finally here’s my Lettuce bed filling out and the Brussels Sprouts growing stronger from longer hours of daylight. The white pellets are slug and snail deterrents although there hasn’t been much activity on that front which I’m guessing is due to the lack of rain but I might be wrong so I’ll try and stay vigilant. Hi, my name is Daniel Harriss and I have a confession to make. Before I get on to my confession; if you’re reading this on Facebook or Twitter, please do visit my blog as this is just the text portion from my blog. All the pictures etc. can be found on the blog itself. You can visit the blog via the clickable title to these posts or add the following link to your favs J http://www.gyoblog.co.uk Whilst there why not click the “follow me” link from the right hand side bar as the more followers I get, the more encouragement I gain. Now my confession. My name is Daniel Harriss and I have an addiction. I can’t seem to help myself at the moment. Whenever I see them I have to have some. I don’t even want the specific item I have to buy to get my fix, but I just can’t help myself. What the heck is happening to me????? I’ve sown everything I need to this year so any seeds I now get will be for next year onwards yet I can’t help myself. Thankfully there are seed parcel schemes whereby you send a parcel out of seeds you don’t need or want and receive seeds that you do. 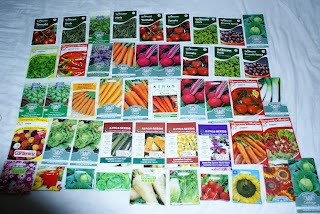 This scheme will come in very handy for me as I can’t see me needing 6 packets of Carrot seeds or 5 packets of tomato seeds especially when you look at what I have from just 2 packets of the cherry tomato seeds I have sown this year. 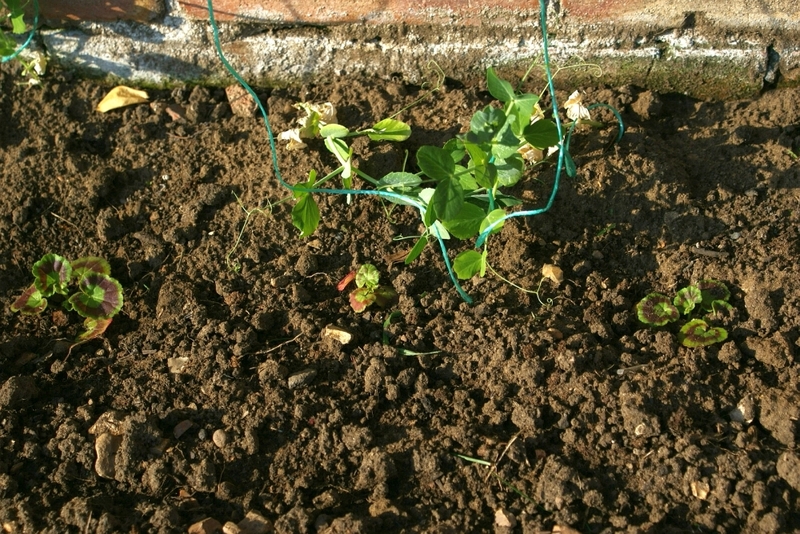 In my last update I spoke of the sweet peas we had received from my mum-in-law. Here they are against our house. 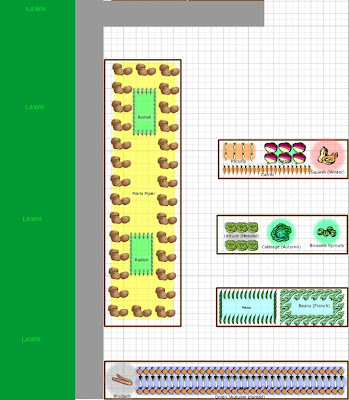 I had to build up a support network for them and hopefully the plants will repay me for the hour it took to build it up. I’ve also sown some Zinnia plants at the front of the bed so we’ll see how they take. The Parsnips are 9 days old but nothing has happened yet. To be honest I wasn’t expecting it too as the packet said they can take 21 days to germinate. 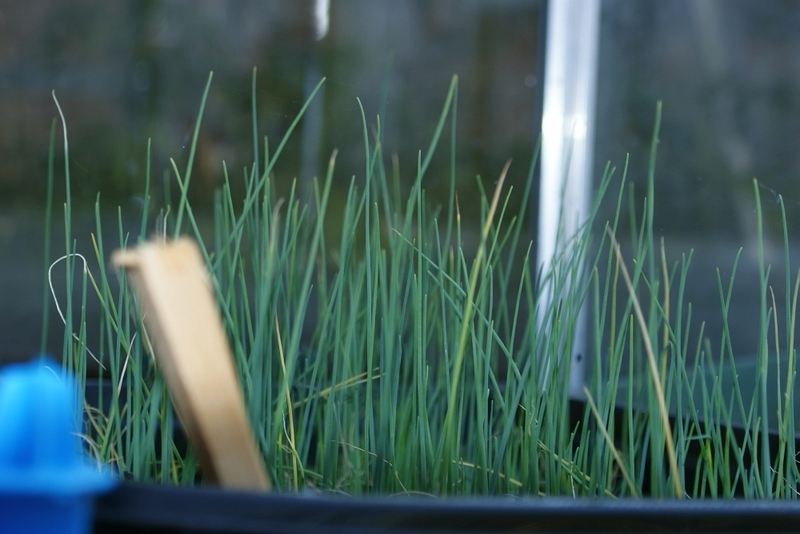 The Leeks on the other hand are still growing on. At 61 days old they are nearing planting out time but that isn’t officially until May so I’ve just got to hold on for 2 more weeks. 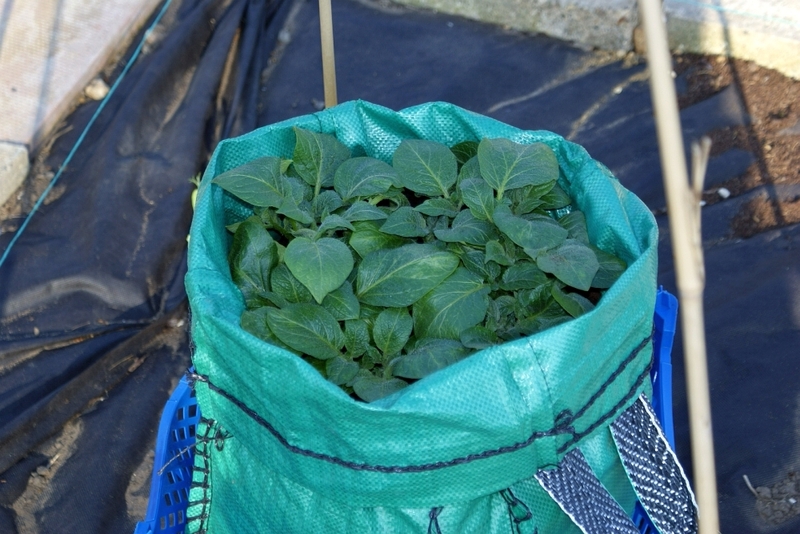 About 5 weeks ago I received my free Potato grow kit and since planting them out straight away, I have had 4 weeks of no action. 8 days ago the soil started to erupt and out came the shoots. Since then they have gone ballistic. I really have to keep your eye on these as I have to keep earthing up the shoots to stop the tubers seeing the sunlight. So far so good though. Finally the Lettuce bed is steadily growing. Here’s one of the better ones growing on. Hopefully the others will catch up. 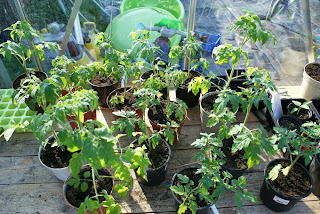 With another week of glorious warm/hot sunshine it really is a great time to be in the garden keeping busy. With no sign of an April shower though, my new waterbutt has seen no action but to be honest I much preferring the nice weather J Enjoy it whilst it lasts peeps. From the photo, which was taken in poor light, you can see the patch filling out. 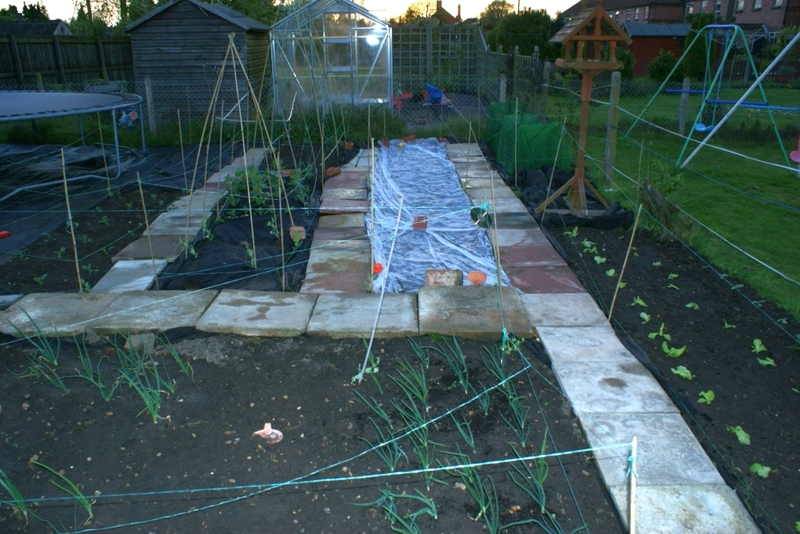 From the bottom you see the Onion and Leek bed. The Leeks won’t be going in just yet but in a few weeks they should be a nice size to plant out. 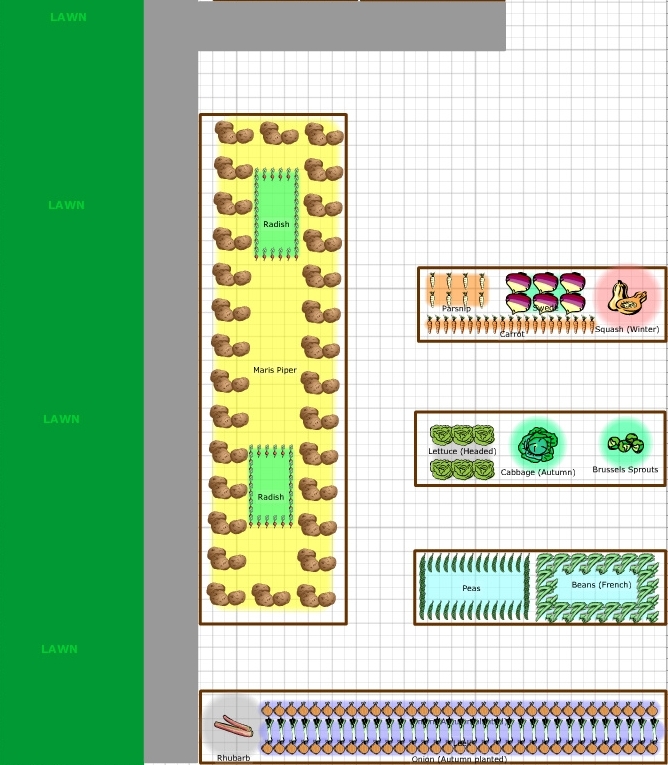 On the right is the Lettuce bed. I have two rows of the all year round variety that took well from sowing in pots. I potted them on once from module trays before planting out and after 7 days in the ground which was when the photo was taken have started to grow more leaves. 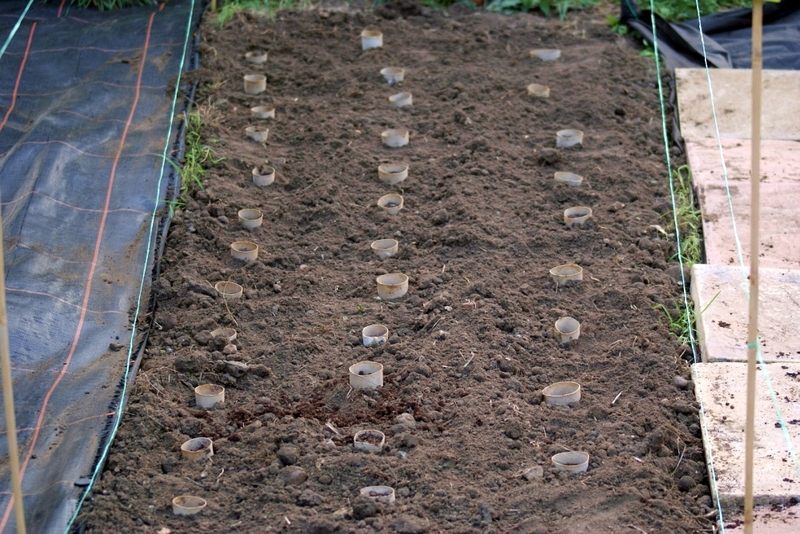 In the middle of the row I made a drill and directly sowed the Little Gem variety as none of the seeds I sowed in pots have germinated. Not really sure why. 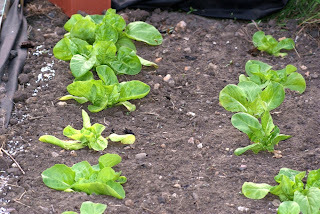 Above the Lettuce bed is the Cabbage bed. 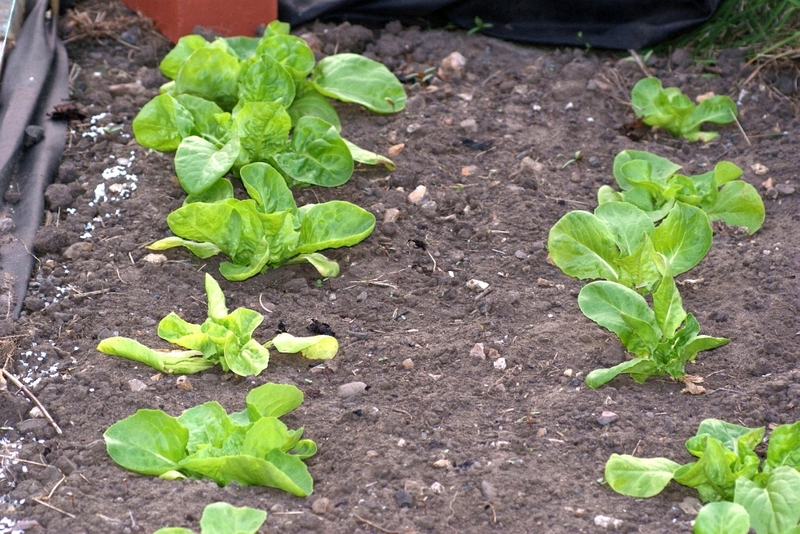 The Cabbages were planted in firmly and I placed some collars around them that I brought from Amazon as they had a copper element imbedded in to them to double up protection from slugs. The collars main job though is to stop the Cabbage Root Fly. To add even more protection I purchased some wind break netting as it’s quite fine but a lot cheaper than other netting. 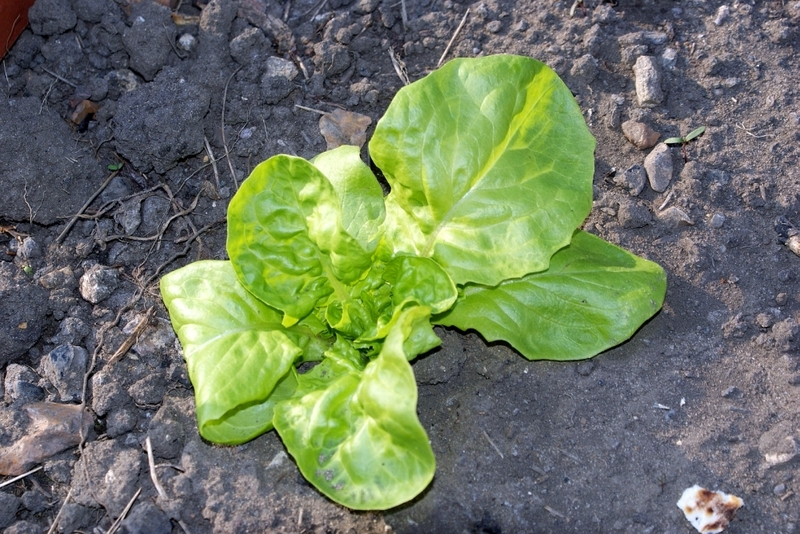 This item is to protect the Cabbage from the white butterflies which try to lay their eggs on the leaves which then hatch in to hungry caterpillars. Time will tell how effective my DIY job will be as I have just draped it over bamboo canes and pegged it down in to the ground. To the left of the Cabbage bed then is my Carrot bed. Under protection fleece, they should be protected from the Carrot Root Fly. 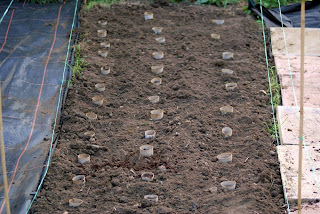 The only problem I have is I can see mass growth under the sheet but because I wanted to secure the fleece down good, I had to lift up all the paving slabs and replace them down over the fleece so I may think about lifting the fleece off and getting the weeds out although some weed identification will need to occur first as I have no idea what a Carrot Seedling looks like. Going left again and it’s the Legumes bed. 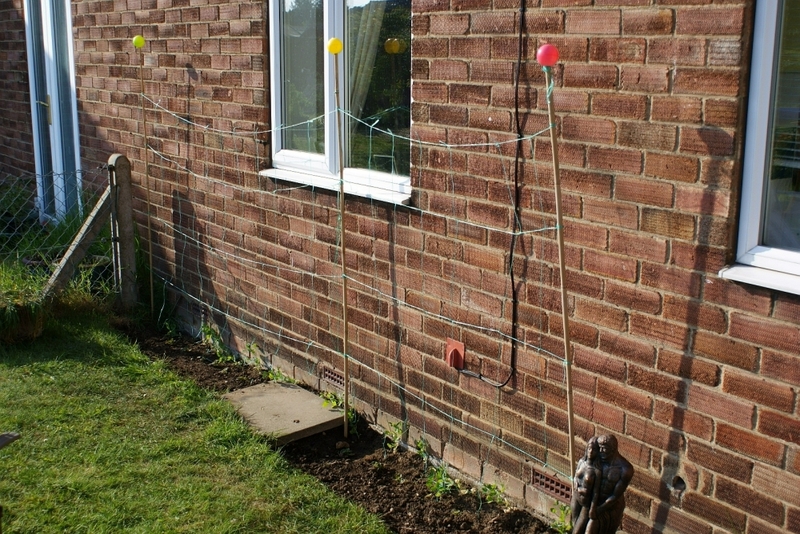 At the back are 8ft bamboo canes in ridge build ready for the Runner Beans next month. 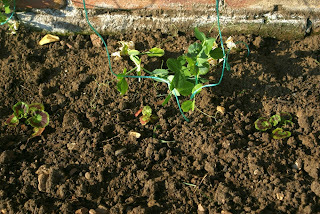 In front of them are the Broad Beans which are all now flowering and in front of that is a wigwam for some sweet peas given to us. The rest of the sweet peas are against our south facing wall of the house. 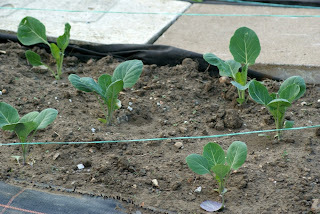 Finally on the far left is the Brussels Sprouts and Parsnip bed. 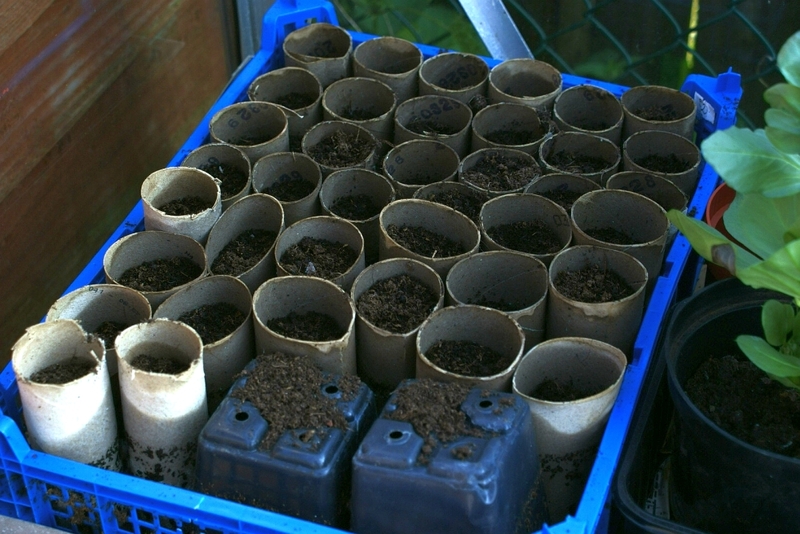 The Parsnips won’t go in yet until they have germinated in their toilet roll holder modules. So there we are. 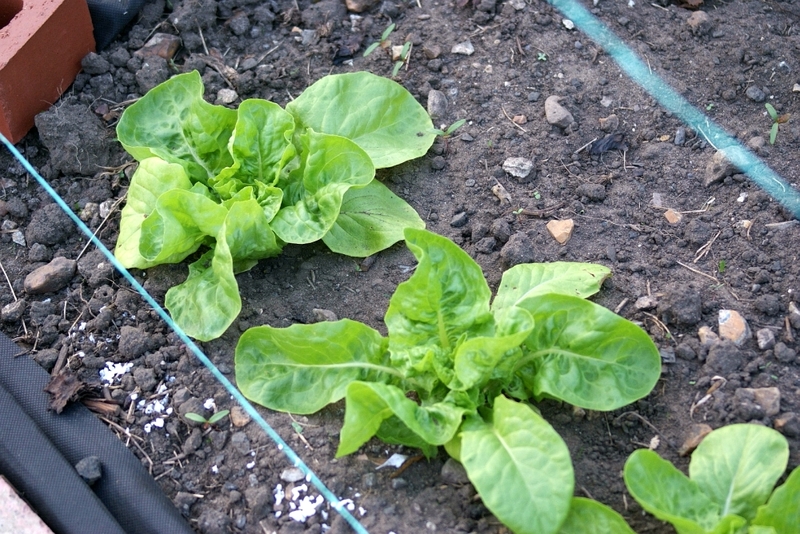 I’m just over 2 months in to my vegetable growing and it’s starting to take shape. I’m already planning next year’s patch in my head but immediately reign those thoughts back in as I still have so much to do this year. I’ll try to stay on top of my blog updates as I have so much more going on in the greenhouse and our ever valuable windowsills. I only have 2 half days to work this month so I’ll be keeping myself busy. Could I have picked a better 5 days off work? Love it. Cycled my little lad to school this morning, then straight out in to the garden. These 5 days are going to be very productive. Big update on Sunday night. 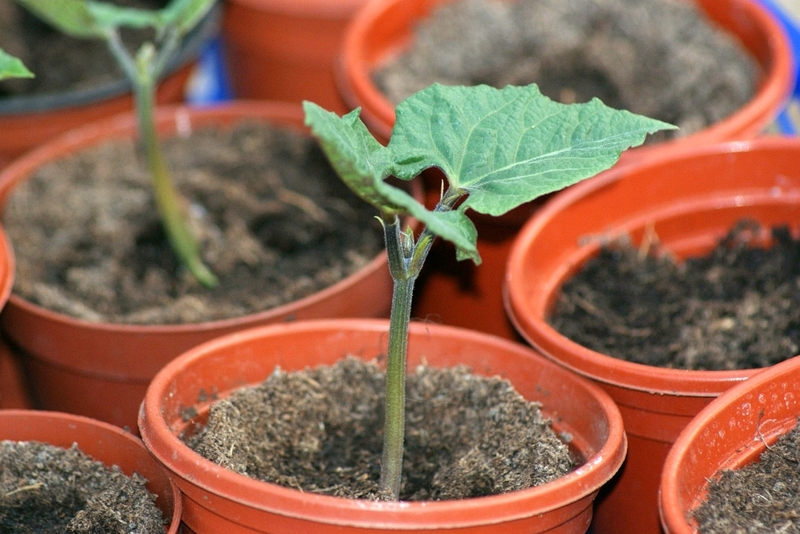 "April is often the busiest month for the Vegetable Grower"
All of a sudden it’s all happening. I started early as I knew if I didn't I would be rushed off my feet trying to keep on top of things but alas time has already caught up. I come in from work at 6:30pm; the plants indoors all need watering. 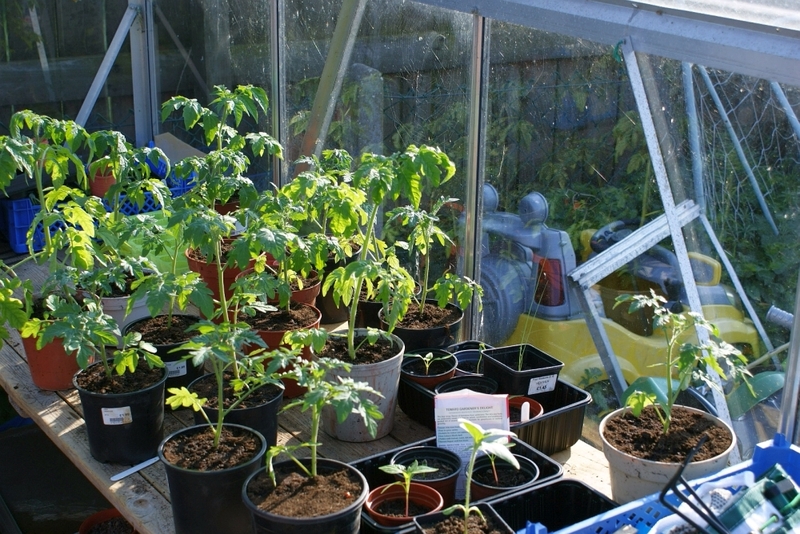 The plants in the greenhouse all need watering but have doubled in size overnight so now all look crowded screaming for room. The onion bed has all of a sudden started to sprout many weeds, some right next to an onion, the bamboo canes surrounding the beds are collapsing or at a skew angle, all of the broad bean plants have damage and some are even trying to flower, and finally the leaves of the overwintering onions have started to turn yellow, a sign that they are nearly ready. It’s now dark so there is no more I can do today. 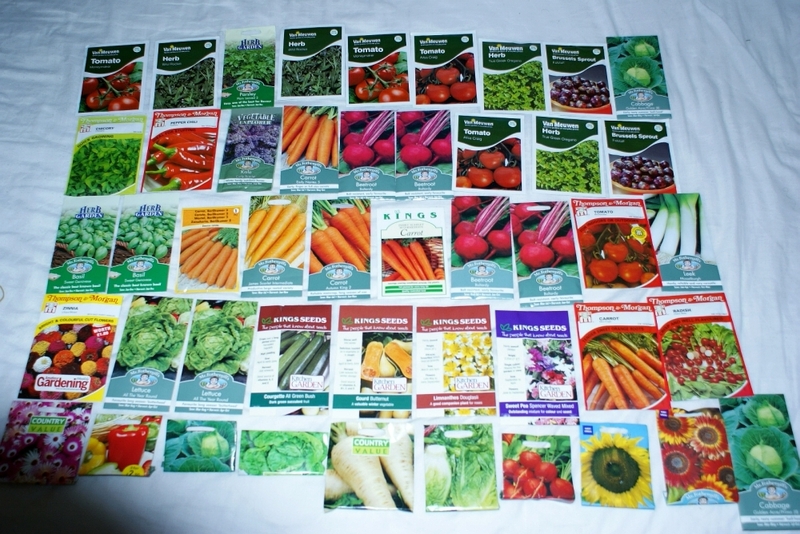 They weren’t wrong when they say April is the busiest month for the vegetable gardener, my worry is it’s only the 1st!!! 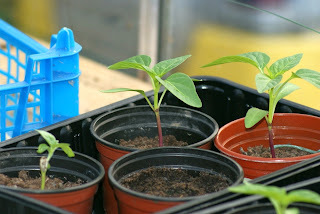 Thankfully I have a bit of time off work this month so can get back on top of things (hopefully) as the successional sowing theory has gone out of the window for now, I would need 3 greenhouses to home all of the seedlings. 48 hours is a long time in the growing world.